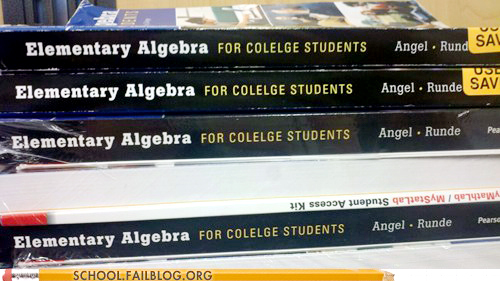 Many people have trouble with Algebra. Books like these are excellent for helping them. For example, if L equals E, then E must be equal to L.
Er, except when it isn't. No wonder they find it difficult.